Delcevo is a small & mountainous town on the east of Macedonia. It's the seat of the Delcevo municipality. According to the 2002 census, Delcevo had 11,500 inhabitants. Delcevo lies at 590 m (1,936 ft) to 640 metres (2,100 ft) above sea level. Delcevo is situated at the foot of Mount Golak on both banks of the river Bregalnica. It is the biggest settlement in the Pianec region which covers an area of 585 km² (226 sq mi), between Mount Osogovo to the north and Mount Males to the south. Delcevo is deep in the countryland and far away from the nearest highway, E-75. The local road connects with Skopje which is 163 km (101 mi) to the east, 35 km (22 mi) north of Berovo, 83 km (52 mi) Stip and 53 km (33 mi) Kocani, that are on the east. Delcevo has flourished after the Second World War, when Delcevo spread over the right bank of the Bregalnica river and during the 70-ties on the Malkovo Brdo hill. Delcevo is named after Goce Delcev, in honor of the celebrated revolutionary and ideologist Goce Delcev who had often visited the place while he was teaching in the village of Novo Selo (near Stip) and considered by Macedonians as one of their greatest revolutionary heroes. Until then, it was known as Carevo selo. 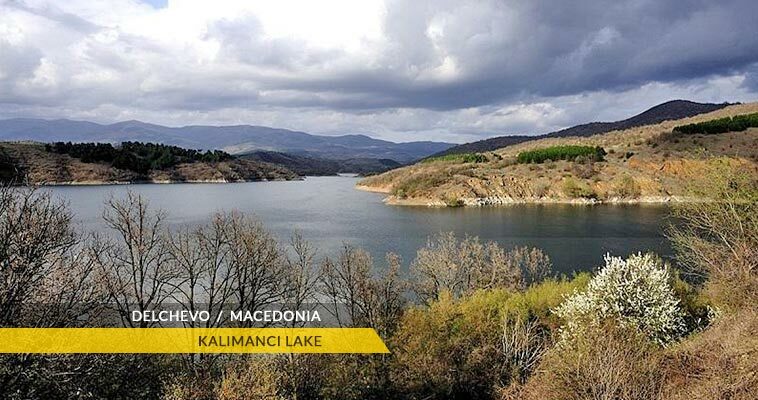 The climate in the entire Delcevo municipality is eastern-european continental with a modified regime. The average temperature during the year in Delcevo is 10,7°С, with an apsolute minimum of -26°С and apsolute maximum of 37°С, while on the surrounding mountains the average temperature during the entire year get as low as 3,5°С. The warmest month is August, while the coldest is January. Here the spring is usually colder than the autumn.